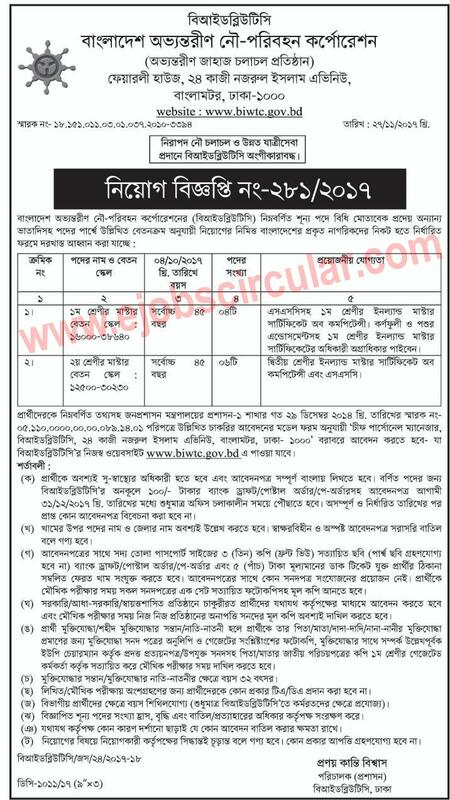 Bangladesh Inland Water Transport Authority BIWTA published New job vacancy Notice at www.biwta.gov.bd . BIWTA job circular offer New vacancy in this post. Degree,Honers Student also apply this BIWTA govt circular 2017.